COMDI 2018 was a success! 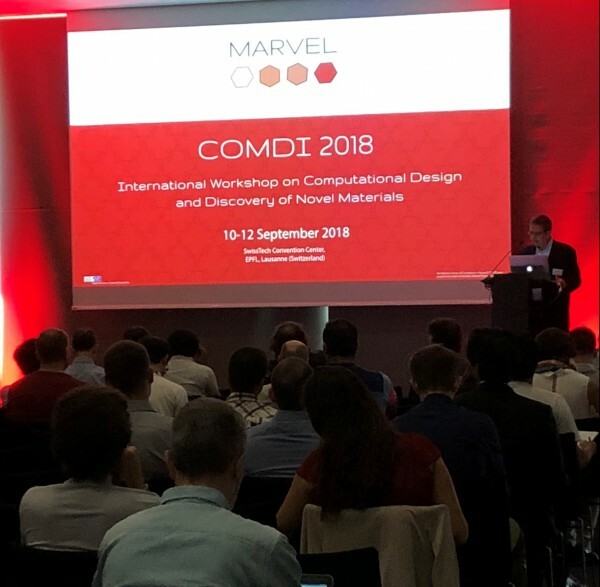 Attracting more than 170 participants, the first edition of the International Workshop on Computational Design and Discovery of Novel Materials (COMDI 2018) held on September 10-12 at the SwissTech Convention Center was a success! 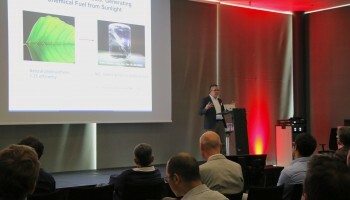 This international workshop, organized in 10 sessions, focused on conceptual and methodological advances underlying the computational design and discovery of novel materials and gathered researchers on a worldwide scale. Participants originated from institutions and companies from 17 different countries; 31% came from abroad Switzerland (notably Germany, Japan, UK, USA and Russia). Fourteen outstanding keynote lectures were presented by Ryotaro Arita (RIKEN, Japan), Andrei Bernevig (Princeton University, USA), Silvana Botti (University of Jena, Germany), Marc Koper (University of Leiden, The Netherlands), Arkady Krasheninnikov (Aalto University, Finland), Georg Kresse (University of Vienna, Austria), Frank Lechermann (University of Hamburg, Germany), Caroline Mellot-Draznieks (Collège de France, Paris), Jeff Neaton (University of California, USA), Michele Parrinello (Università della Svizzera italiana and ETHZ, Switzerland), Mariana Rossi (Fritz Haber Institute, Germany), Volker Roth (University of Basel), Michiel Sprik (University of Cambridge, UK) and Mark E. Tuckerman (New York University, USA). Moreover, 17 contributed talks were selected among submitted abstracts from the participants. 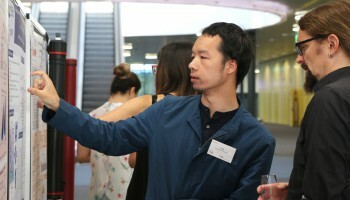 The two poster sessions included 34 posters on Monday evening and 48 more on Tuesday evening. 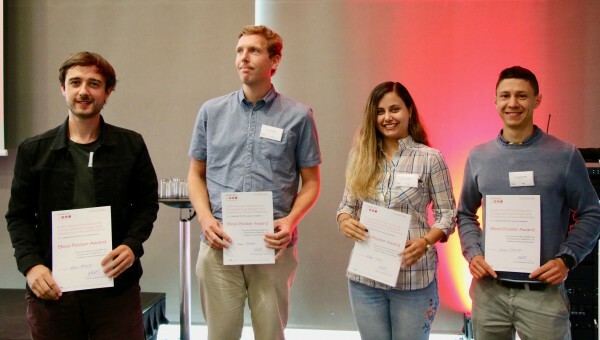 Congratulations to Narges Atrak (University of Iceland), Menno Bokdam (University of Vienna), Michele Simoncelli and Robert Baldock (EPFL) winners of the Best Poster Award, presented by Professor Risto Nieminen! The 4 winners of the Best Poster Award: Robert Baldock, Menno Bokdam, Narges Atrak, Michele Simoncelli (left to right). 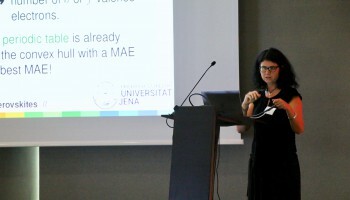 The workshop was organized and hosted by the National Center of Competence in Research (NCCR) MARVEL, an effort funded by the Swiss National Science Foundation for the Computational Design and Discovery of Novel Materials. See you at the Psi-k 2020 Conference!